In modern warfare, together with other factors, force maneuver is an important factor; even, in certain circumstance, it could change the situation in the battlefield and the war. 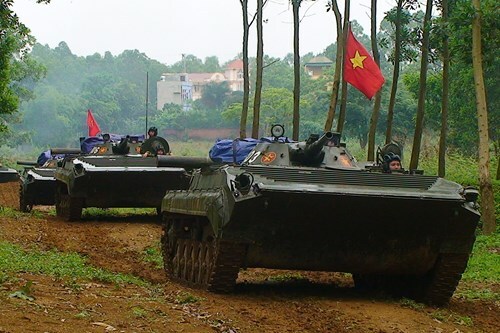 According to the Vietnam Military Encyclopedia, force maneuver is the organized movement of force in combat in order to occupy advantageous position, take a comparative force advantage, enhance combat strength for combat force or withdraw troops out of threatened area. In this regard, the main nature and goal of force maneuver in combat is the movement of force components which include: combat force, support force and vehicles, weapons, and equipment from one area to another to create favorable posture and impetus to successfully accomplish the assigned tasks. Particularly, in a war to defence the Homeland (if this is the case), when the enemy uses a variety of high-tech weapons, conducts asymmetric warfare, etc, force maneuver is of special importance. As for infantry division – the main combat formation of Vietnam’s ground force – enhancing the maneuverability will create favorable condition for attacking targets deep inside the enemy’s formation, timely fighting against the enemy’s airborne troops, amphibious troops, clustering troops, counter-attack troops, and intruding troops etc,. On the other hand, though being a tactical unit, infantry divisions, in their mission fulfillment, has to maneuver both in operational and tactical levels. Meanwhile, our capability for vehicles, technical equipment mobility is limited. So, how to settle the problem of force maneuver for infantry division in a war to defence the Homeland is a matter that needs due solutions. From the above mentioned issues, over the past years, our infantry divisions have been equipped with new equipment in increasingly modern direction with regard to the country’s circumstances, their missions in peacetime and their combat readiness. of which, the training to ensure force maneuverability of divisions has been paid special attention with synchronous measures. Firstly, strengthening education and propagation to enhance the awareness of officers and soldiers of the role and the importance of force maneuver in a war to defense the Homeland. To do this, party committees and commanders of infantry divisions should help their troops grasp military and defense guidelines prescribed in the resolutions and directives of the Party, the CMC, and the MND. In addition, they should accelerate education to help cadres and soldiers fully aware of the situation, their mission and the importance of force maneuver in addressing peacetime contingencies and in conducting combat operations in wartime. Moreover, it is necessary to make cadres and soldiers realize the advantages as well as hardships and challenges so that they uphold their determination and responsibility during their task performance. 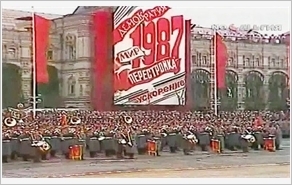 During the education process, various methods and models should be applied to different subjects and objects; it is necessary to combine regular education with that of each specific task and education about tradition, particularly the tradition of force maneuver of main divisions in the past resistance wars. Secondly, attention should be paid to renewing content and method of training to enhance combat readiness capability. Over the past years, certain achievements have been recorded due to the renewals in the content, model, and method of force maneuver training of the whole Army in general and infantry divisions in particular. However, to meet the mission requirements in the new situation, it is neccessary that infantry division should further renew. On adhering to the training guideline of “basic, essential, and steady”, active units should focus on unit training tactics , then they can skillfully practice steps of maneuver combining different weapons and equipment in the combined arms formation. In particular, it is important to enhance the quality of training and skillfully practice maneuver tactics, absolutely master all equipment and flexibly, timely and effectively respond to situations in the modern war. Basing on the area situation and features, mission requirements and plans for each stage, infantry units are to carry out corresponding training. Accordingly, the maneuver training should be linked with tactics training, from low to high levels, to make it basic and steady; strengthening practice of night maneuver and maneuver on new and complex terrains, long marching, etc to improve durability, fitness and agility for each unit. Furthermore, attention should be paid to increasing joint practice and exercise at different scales to examine the maneuver capability of infantry division in conditions that are similar to the war conditions. Thirdly, it is important to thoroughly prepare for maneuver and combat readiness. Functionally, infantry division is responsible for quick and timely engage in fighting on a large scale, coping with modern weapons and equipment. Therefore, the enhancement of maneuverability and combat readiness for them depends largely on the quality and effectiveness sustainment in which the preparation for technical equipment and maneuvering routes are the most important. At present, a majority of vehicles and technical equipment of infantry divisions are out of date while the budget for procurement and replacement is limited. To solve this problem, together with seriously maintaining technical maintenance regulations and procedures, infantry divisions should enhance their maintenance skills to lengthen the usage of vehicles, particularly the capability of mobile rescue teams so that they are able to quickly handle incidents while the divisions are on the move. As for maneuvering routes, infantry divisions should make the most of the existing routes for their movements. Depending on the terrain and combat plan, infantry divisions could study to plan new routes. In addition, they should actively coordinate with the transport sector and localities in their areas of operation to prepare for maneuvering routes. Moreover, they should pay attention to other aspects such as camouflaging, diversionary, keeping secret and maintaining communications, air defense, and logistics, etc. Force maneuver in combat in general and of infantry divisions in particular is a difficult and complicated issue requirinig more studies, and synchronous measures of units.